The Academic Help Desk was a service created by the Academic Resource Office to be more readily available to Carlow College students. This is a drop-in service that operates every Tuesday, Wednesday and Thursday for quick queries regarding referencing, finding sources, organisation of essays and reviewing essay feedback. Borrowing books is a privilege and not a right. All borrowing and returning of books must be overseen by a member of the library staff. The borrower will be responsible for the safekeeping of any book borrowed until it has been returned. Books may be borrowed for a loan period of either one day (24 hours); one week or weekend (Friday afternoon – Monday morning). You must show a current student identity card to be eligible to borrow books. The student identity card is supplied by the College when your student registration is complete. You may borrow two books at a time and must return them before another is issued. It is extremely important that you return all books to the library on or before the date they are due. A fine of €1 per day is levied on any books not returned on time. Items which are overdue, and which have been requested by another user, must be returned on demand. You will not be permitted to borrow again until all books are returned and outstanding charges are paid in full. Books are loaned in a readable condition. If a book is returned damaged or in an unreadable condition, the borrower will be fined the replacement cost of the book, plus a handling fee of €10. No further books will be loaned to the borrower until all replacements charges are paid. You can order NEW books for your modules through the Carlovian Bookshop, located at the Library Front Desk. A deposit of €10.00 must be paid on all orders. You must fill out an order form (see document below) and hand the form to any member of the Library Staff with your deposit. Popular text books are held in stock, others will take approximately one week to arrive. Printing is simply transferring an image on your computer screen to paper or, making a copy for your own use of something already in a paper format. Duplicating can be done in the Library using the photocopiers and/or printers available. All students wishing to make copies can do so when they have a current student ID number and a printing account linked to the same student ID number. The account must contain enough funds to be able to print a least one page. The same student ID number is used to access the fifty-eight computers in the Library or any of the four digital copiers. Money can be added to your printing account at the Library Help Desk. Provide your student ID number and whatever funds you wish to have placed in your account. The amount added must be in increments of a Euro: €1, €2, €3, etc. The Library has a binding machine which is used to bind student assessment materials. The materials can be dropped off at the Library Front Desk and picked up again at a pre-arranged time. The cost per bind is between €2.00 and €6.00. Under this process the Library can borrow books from other libraries on your behalf. As such, if the book is not on our library shelves then it can be requested from any library in Ireland or the UK. This is possible under a consortial agreement between libraries and research institutions. However, the process is not free. The fee to avail of this service is €15, which is the cost of supplying and sending a book from one library to another. Our library will cover half of this fee. Thus, the total cost to the student is €7.50. Similarly, the fee for an article is €10, and again, we will cover half (€5). All cost(s) are paid for in advance. Please print the form below and bring to the Library Front Desk with payment. 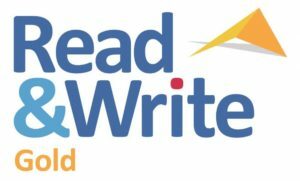 Read &Write GOLD 11 is a ‘one stop solution’ which integrates reading, writing, studying and research support tools with common applications. It is a software package with a simple to use toolbar that ‘floats’ on top of any open application, including Microsoft® Word, Google DocsTM, Mozilla Firefox®, Internet Explorer®, Google ChromeTM, and Adobe Reader®, to make digital content accessible. Its features include speech feedback, word prediction, phonetic spell checker and talking dictionary. In addition, it can convert scanned paper documents into word files that can be read aloud and edited. It can also capture text or images (with their sources) from any application, including the Internet. The software can convert text into audio files for use on portable audio devices such as MP3 players or some mobile phones. Other advanced features include a pronunciation tutor for more accurate speech and pronunciation and PDF Aloud, which facilitates speech with highlighting in PDF files. All PCs in the P.J. Brophy Library have Read and Write Gold software installed on them. Training is provided on an on-going basis. Please contact the Academic Resource Office for further information.